19552 Jack Pine Drive Macomb Twp, MI. 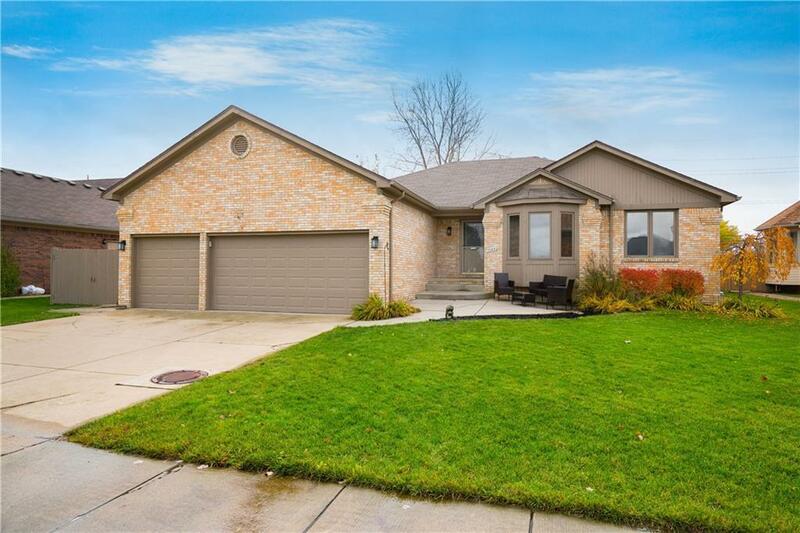 | MLS# 218108774 | The premier resource for all real estate information and services in Metro Detroit. Reduced 20k! Updated Macomb Twp. brick ranch. Situated just off 23 Mile & Romeo Plank with Chippewa Valley Schools. As you pull up to your showing you will notice the 3 car driveway and garage. Take note of the beautiful curb appeal which includes an expanded front porch sitting area & 3 bay windows around the home. The new roof (2013) nicely accents the exterior elevation and brickwork. As you enter the home you will find yourself in the spacious foyer that overlooks the open floorplan & great room. Just off the great room you will pass through to the kitchen and eat space. The flow of the home is perfect for your family and entertaining! You will find 3 bedrooms accompanied by 2.1 main floor baths, including the master suite. Don't forget to enjoy your finished basement or large patio either! Or choose to relax year round in the enclosed porch w/hot tub! This home has been updated over the past 7 years including; roof, carpet, paint, hot water tank, crown molding & finished basement.